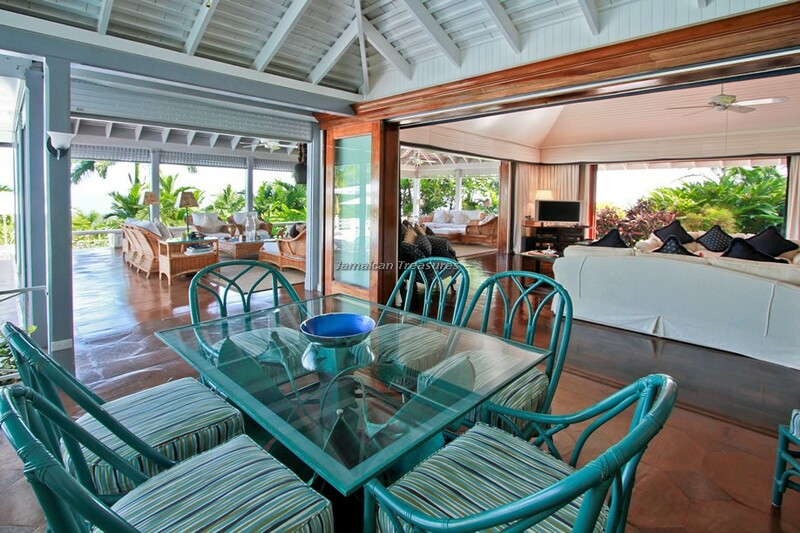 5 bedroom, 5 bathroom, deluxe villa 3 minutes golf cart ride to the beach!!! 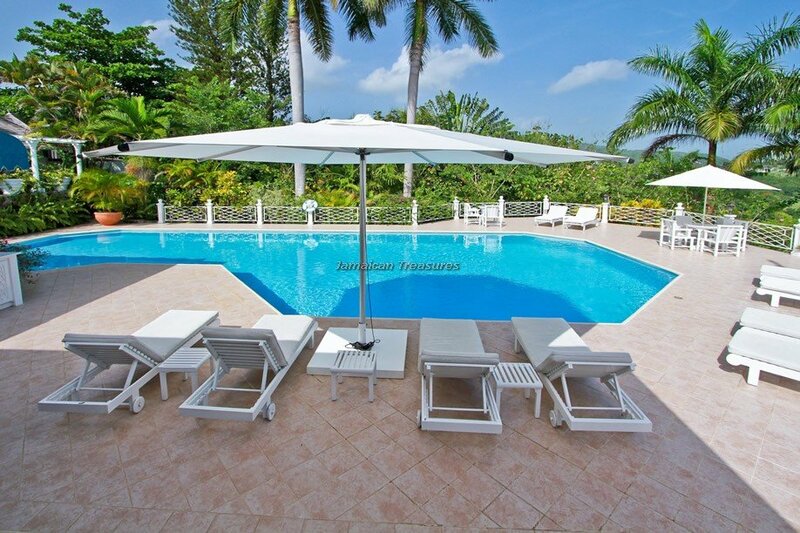 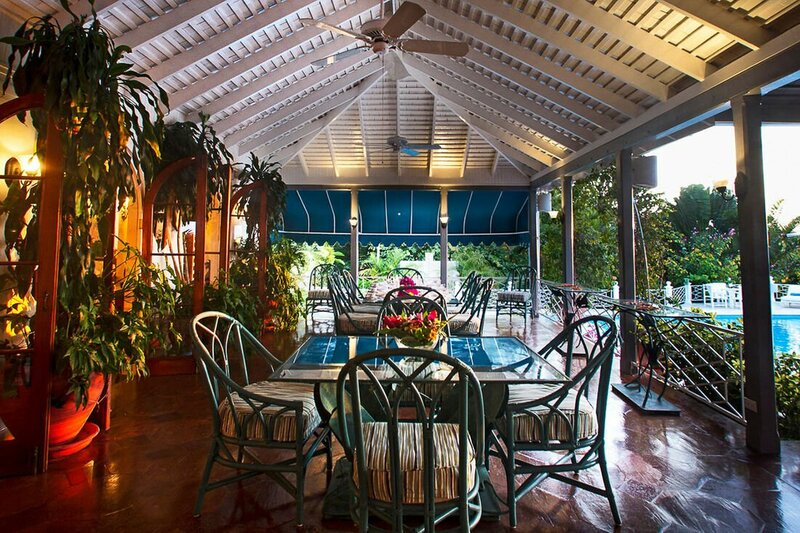 Windrush Villa is majestically located on a charming hillside within the world renowned Tryall estate. 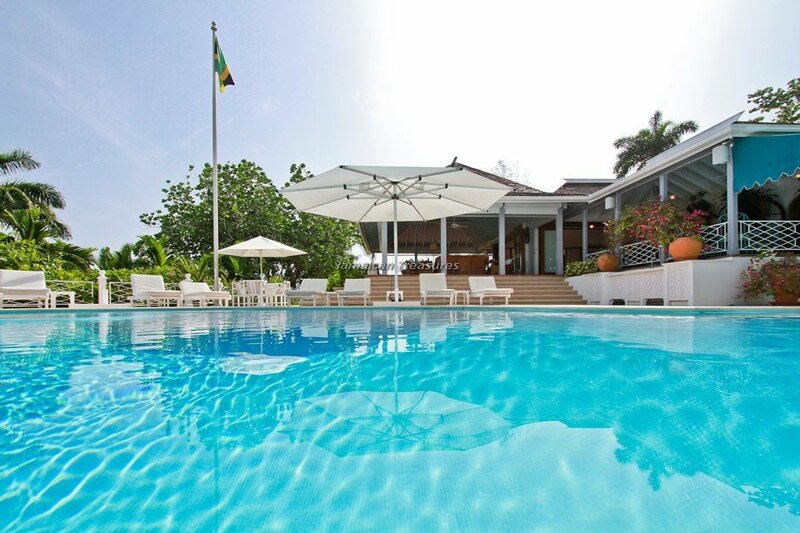 Recent renovations have transformed it into one of the most luxurious Jamaica villas within Tryall. 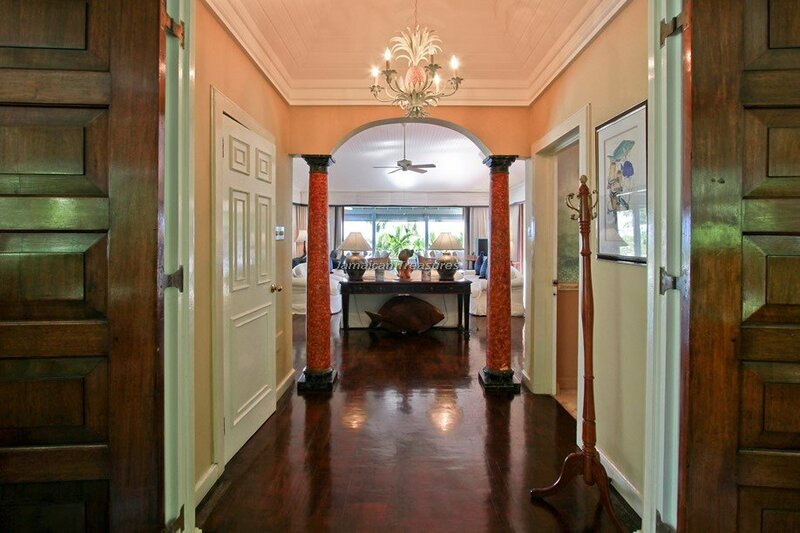 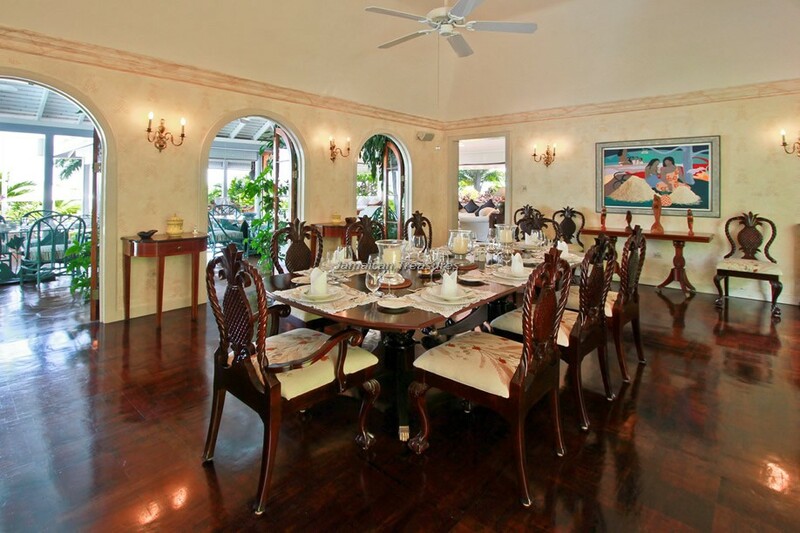 The sprawling private home has seven bedrooms, five of which are available to guests. 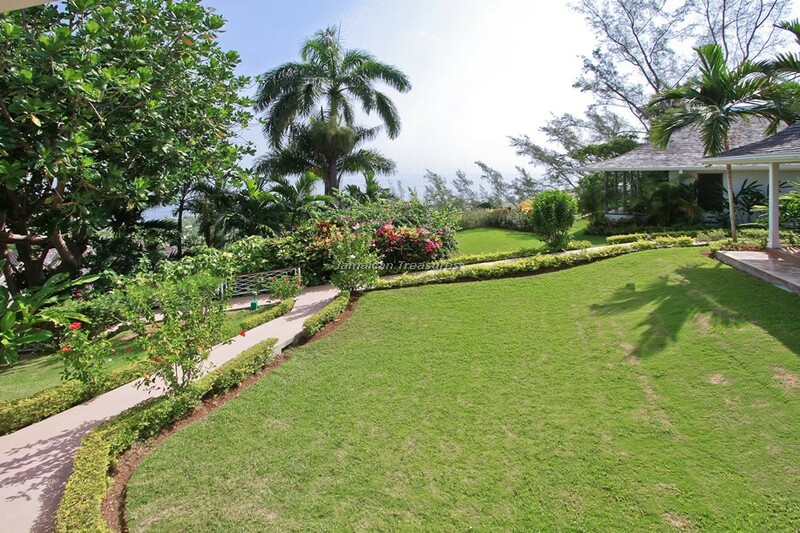 Attractively landscaped gardens in this five acre estate surround Windrush Villa. 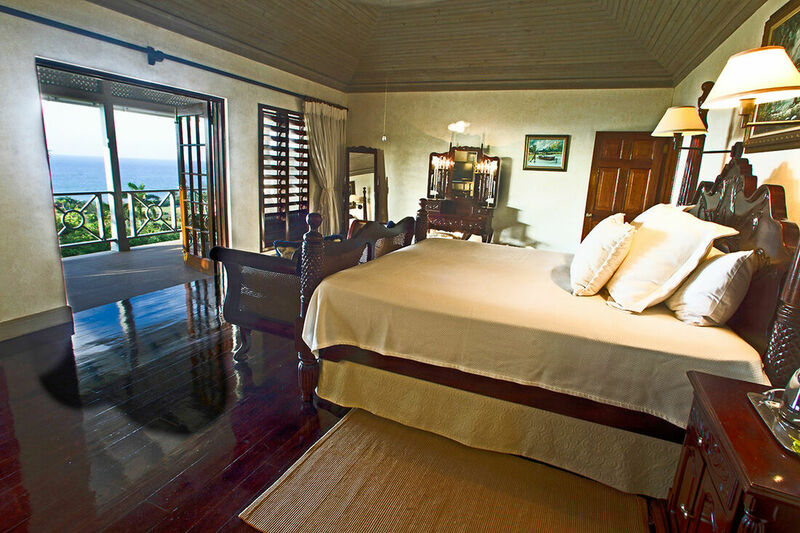 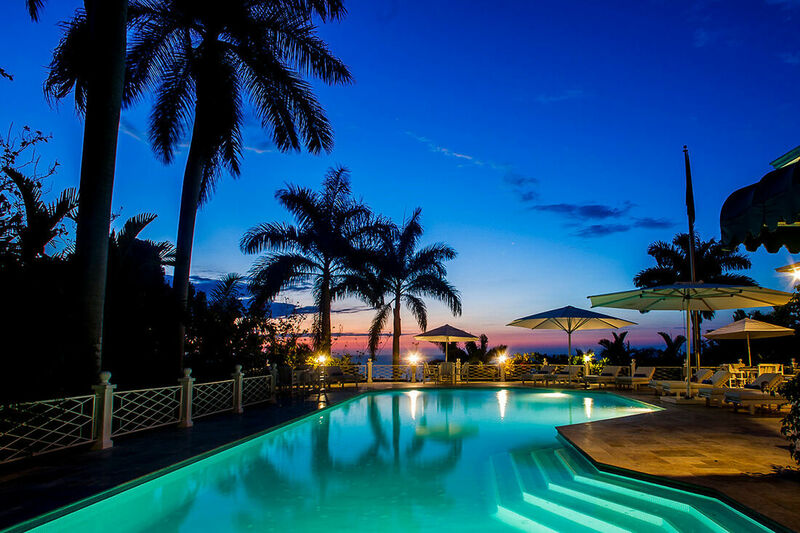 The luxury villa Jamaica offers three master bedrooms, all air-conditioned and furnished with magnificent four-poster mahogany beds. 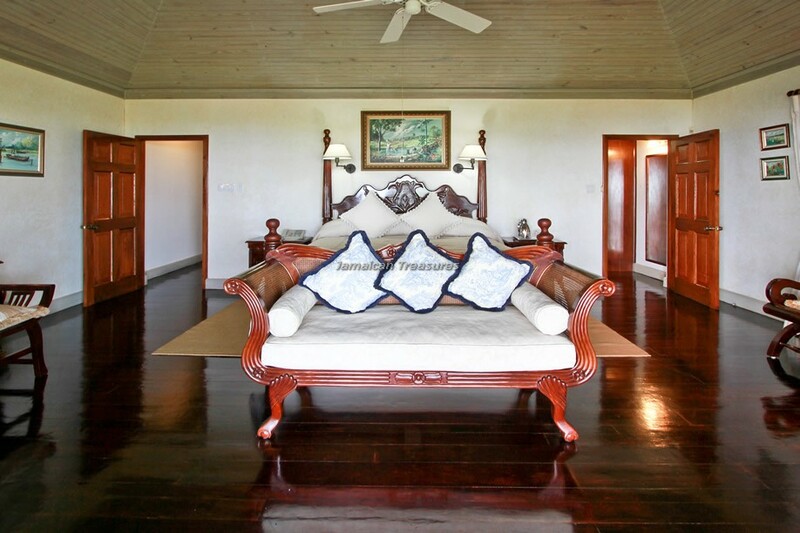 The mahogany floors and en suite bathrooms, with sophisticated fittings make these rooms very classy. 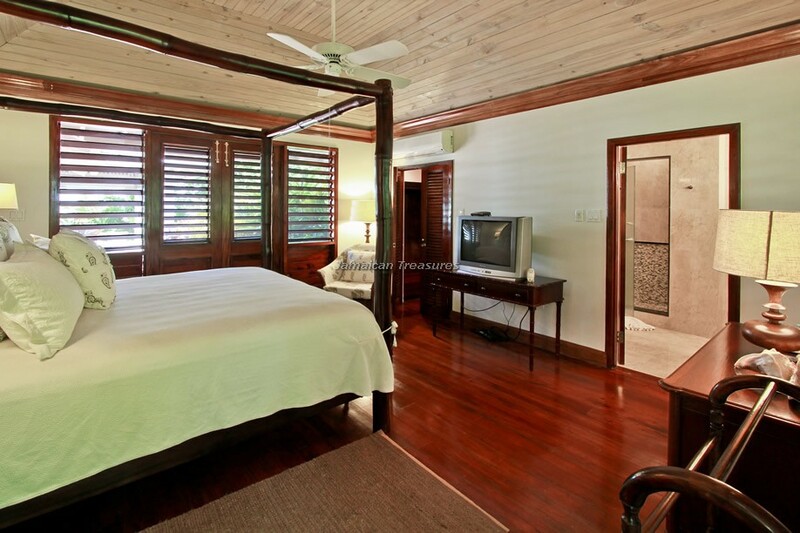 The other guest bedrooms offer king-sized or twin beds, en suite bathrooms, air-conditioning and DSS televisions. 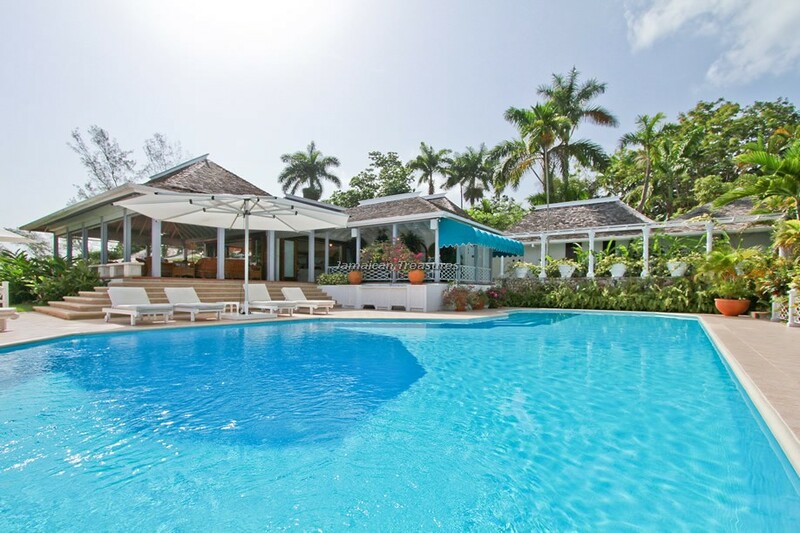 Windrush Villa has been designed with the objective that its guests enjoy a feeling of serenity and privacy and the bedroom locations have been designed accordingly. 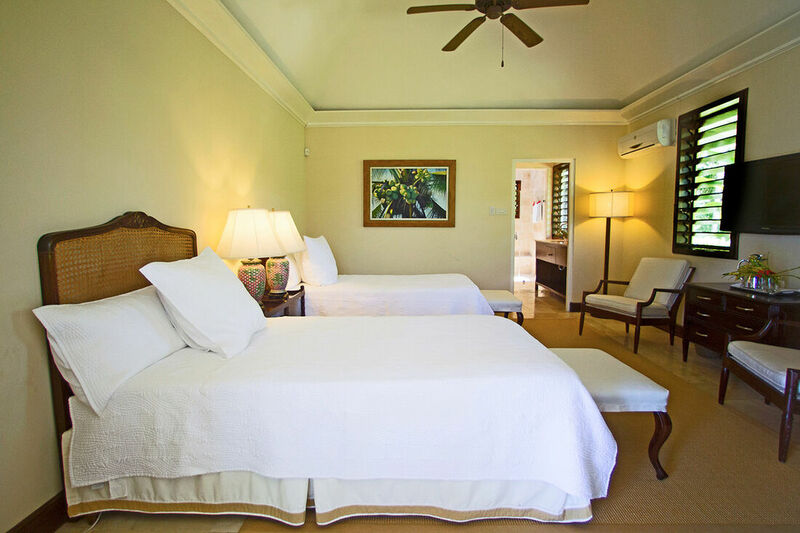 The main master bedroom has its own private location; two bedrooms are situated in the main villa, while four additional bedrooms are located in two exclusive locations. 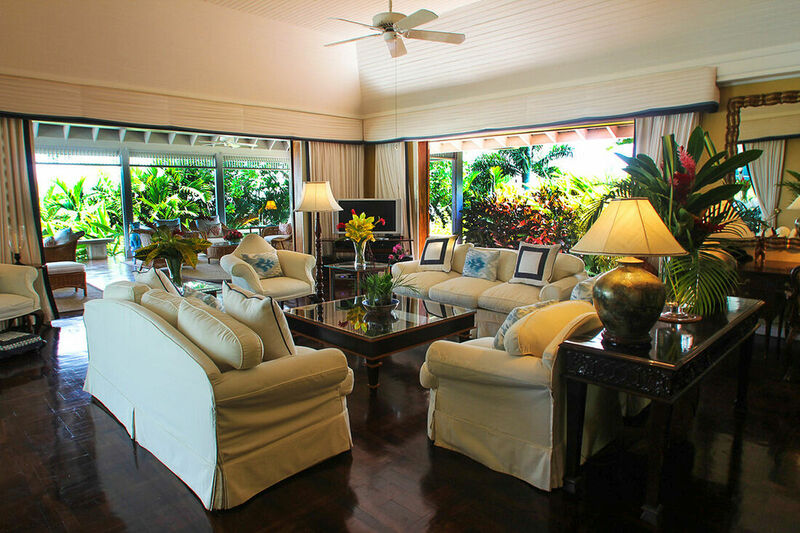 The fantastic living room at Windrush Villa is very spacious, with lovely décor. 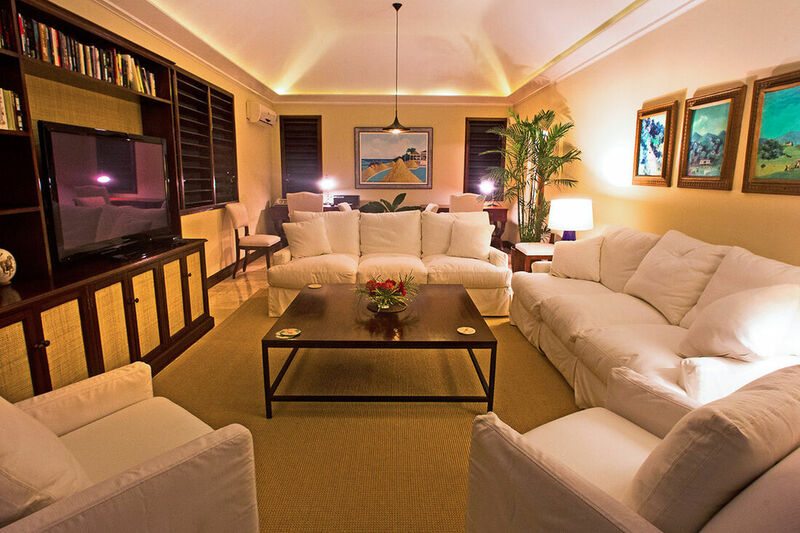 The living room has rich mahogany floors, a bar, comfortable sofas, television, DVD player and CD player. 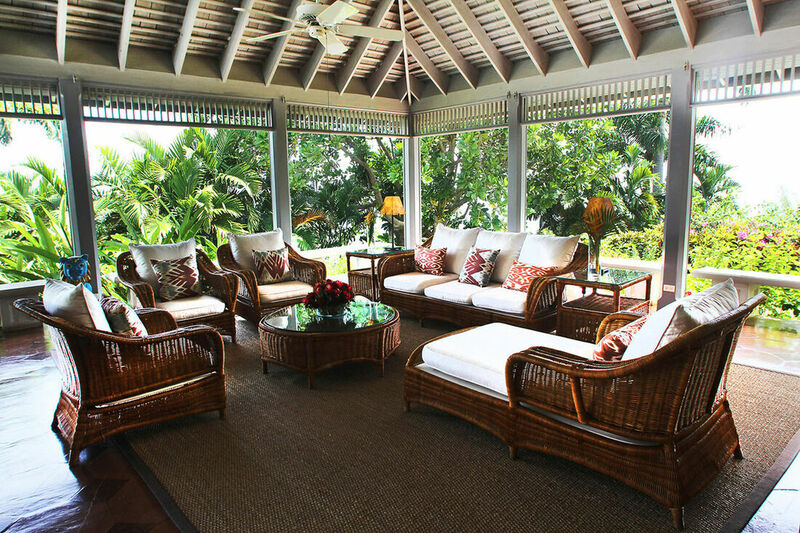 This room leads into the expansive outdoor covered veranda, furnished luxuriously for comfort, making it perfect for many memorable moments with friends and family. 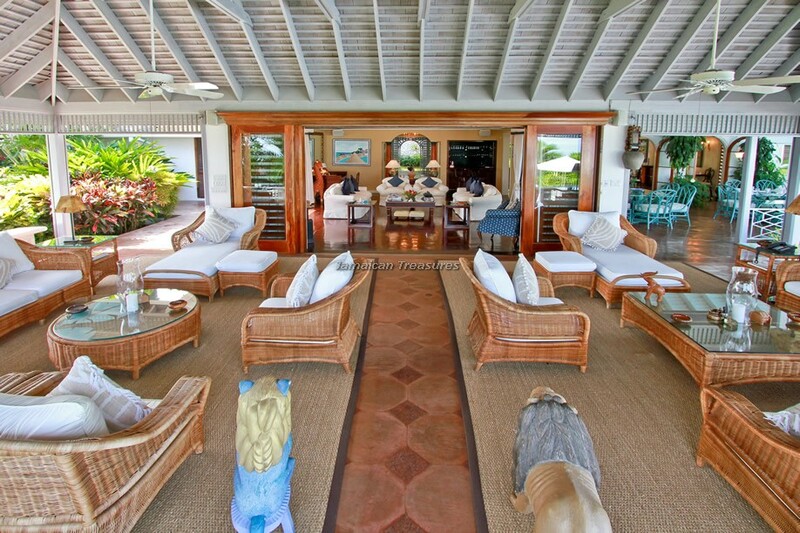 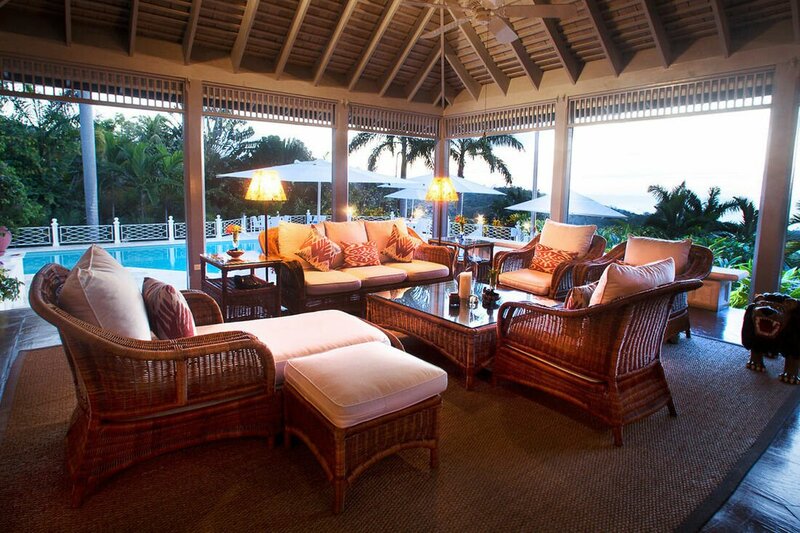 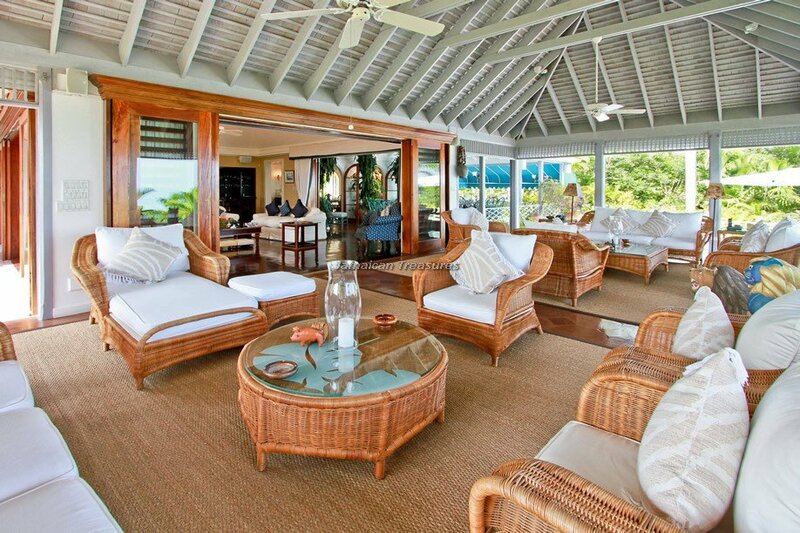 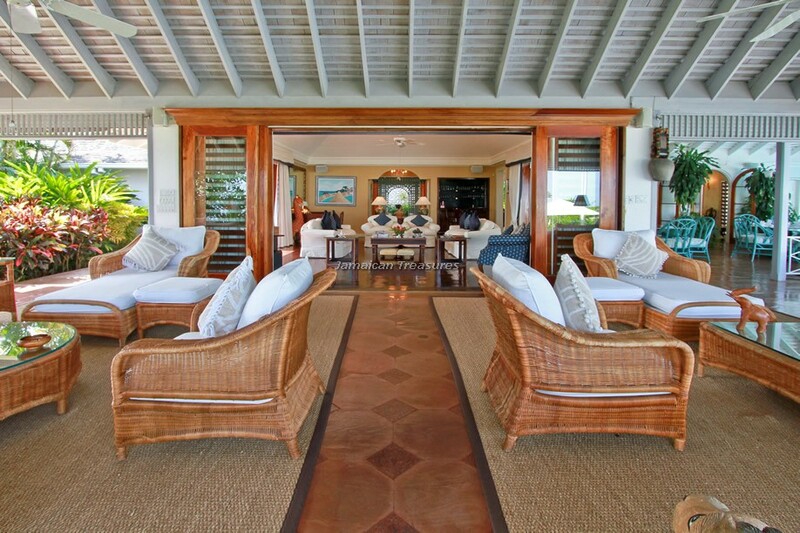 Guests can use both living areas for entertaining or simply for spending some quiet tropical evenings. 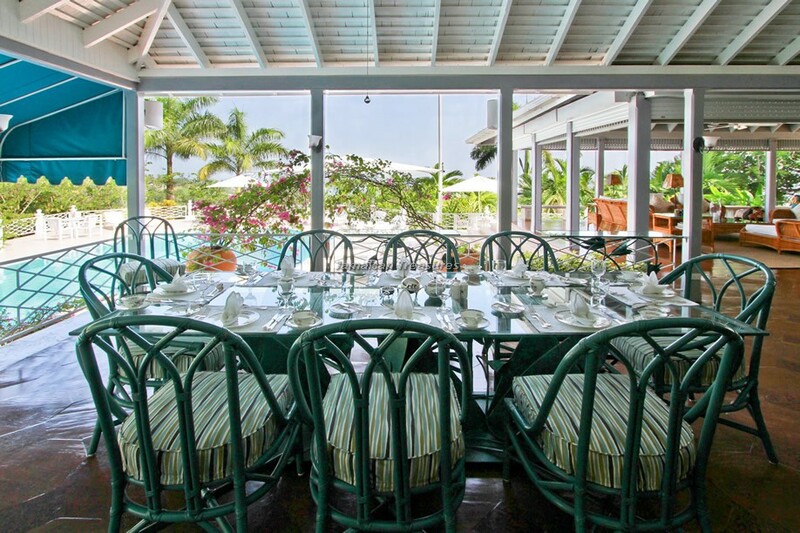 Meals can be served in the formal indoor dining room or in the covered outdoor dining area, which can seat sixteen people. 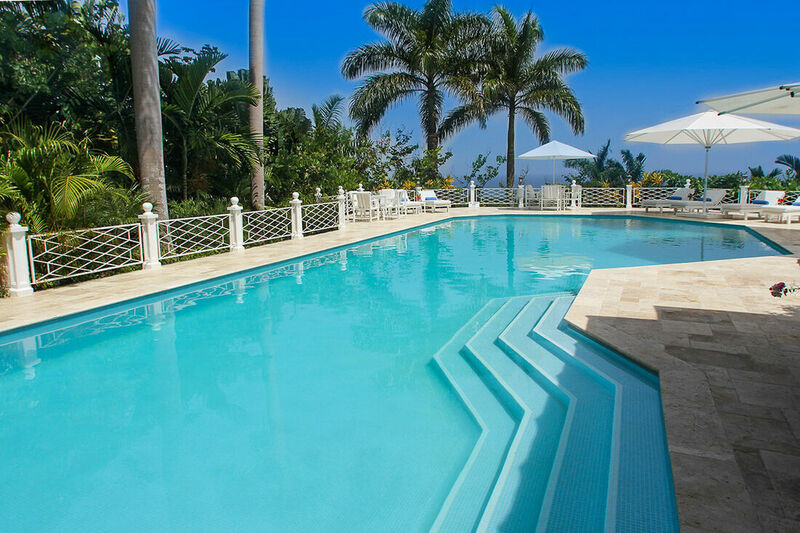 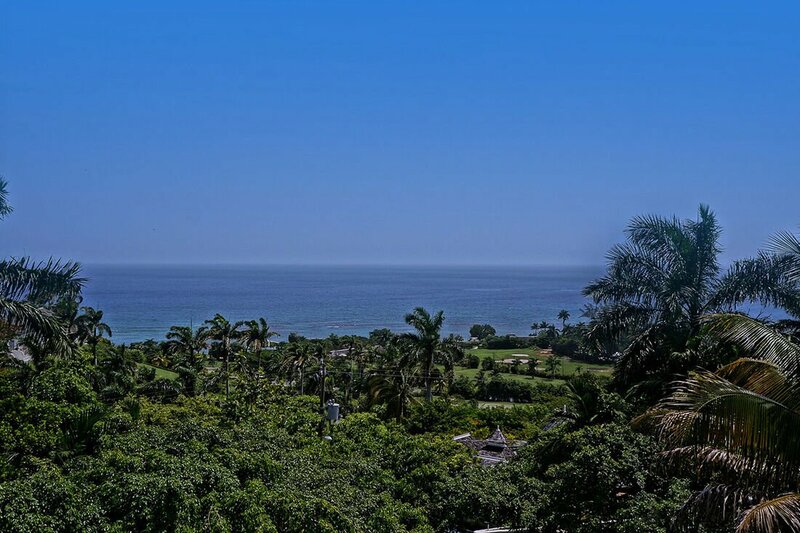 All these areas offer fabulous views of the dazzling blue swimming pool, the sparkling Caribbean Sea and the golf greens. 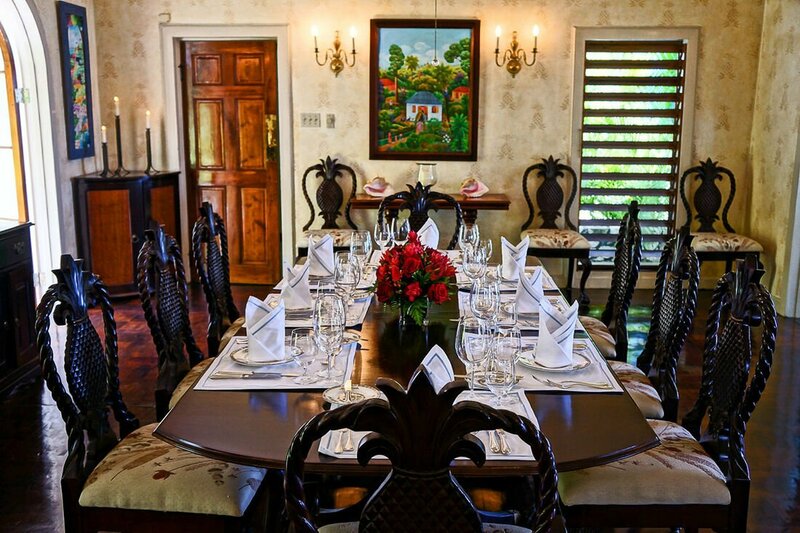 Guests at Windrush Villa have a complimentary golf cart at their disposal.. A devoted staff is available to take care of the guests’ every need. 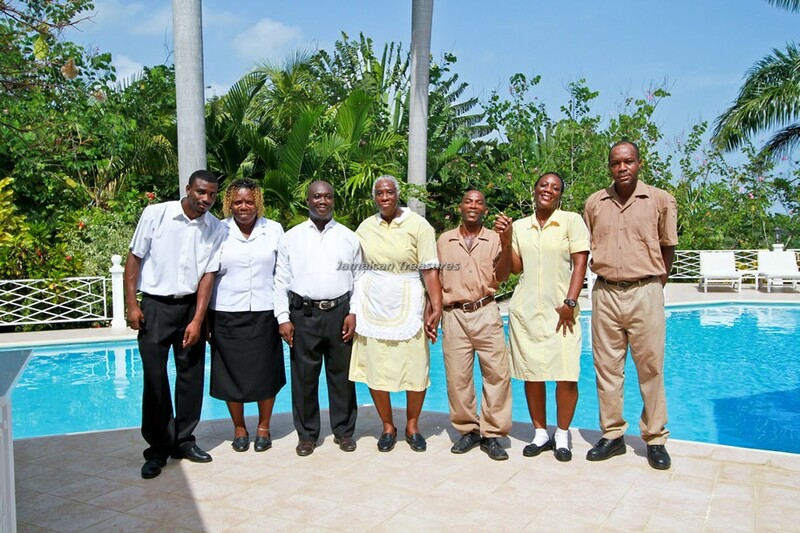 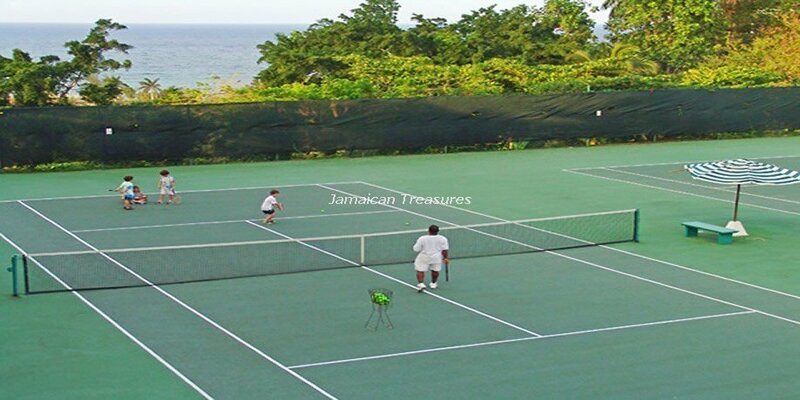 The housekeeper, cook, gardener, laundress, security guard, pool man and butler make sure that the guests at Windrush Villa have a comfortable, stress free and relaxing Jamaican trip. 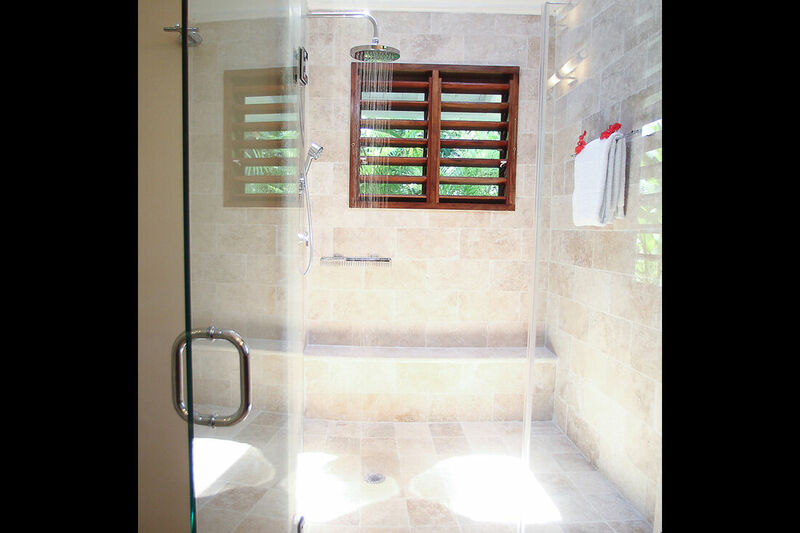 All three bedrooms in the Main House are handicap accessible. 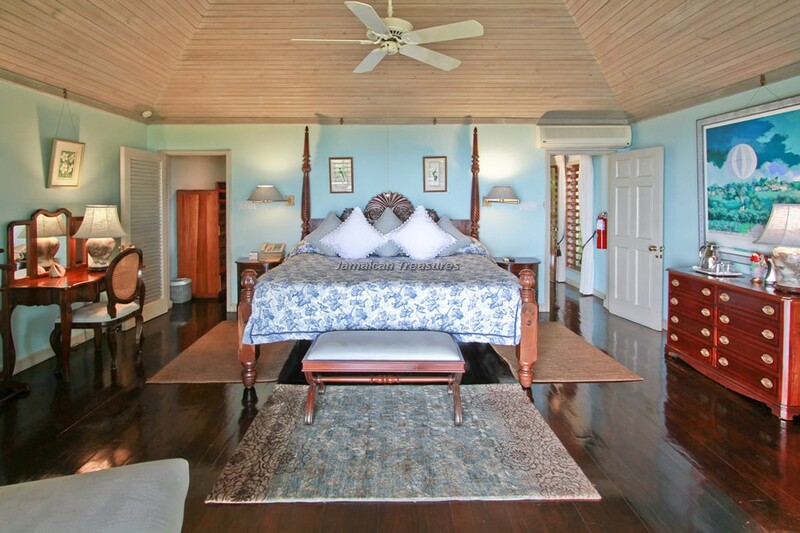 King-size bed, 36” cable television, mahogany plank floors, French doors to porch with two-person swing and glorious sea view. 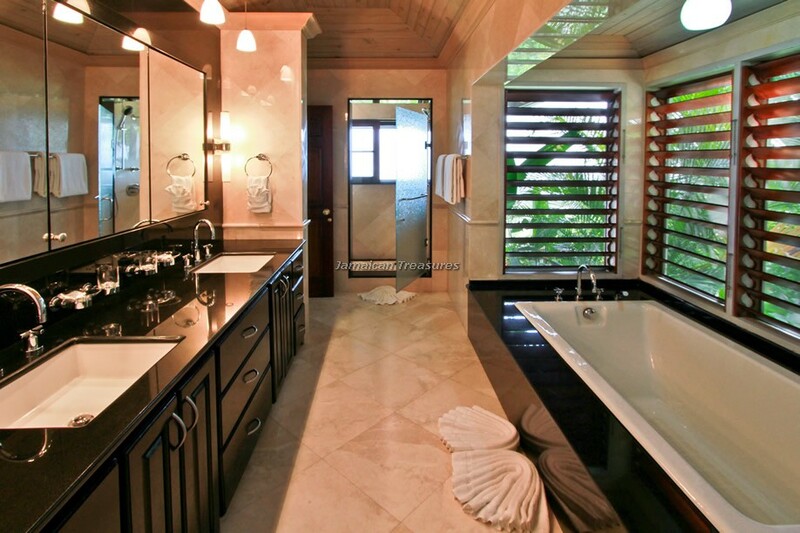 Large en-suite white marble and mirrored bathroom with double-basin vanity, deep bathtub and separate walk-in shower … the most glamorous suite in Windrush. 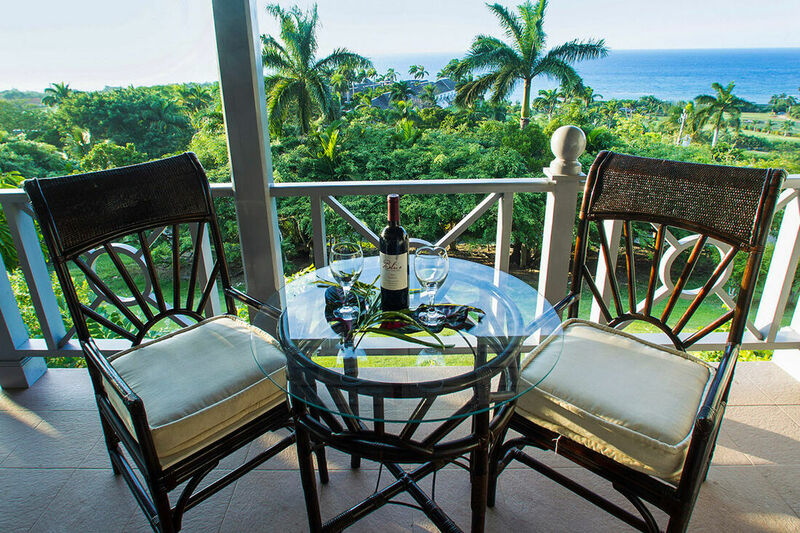 King-size bed, cable television, louvered doors to small terrace and sea view; en-suite bathroom with double-basin vanity, walk-in shower plus separate bathtub. 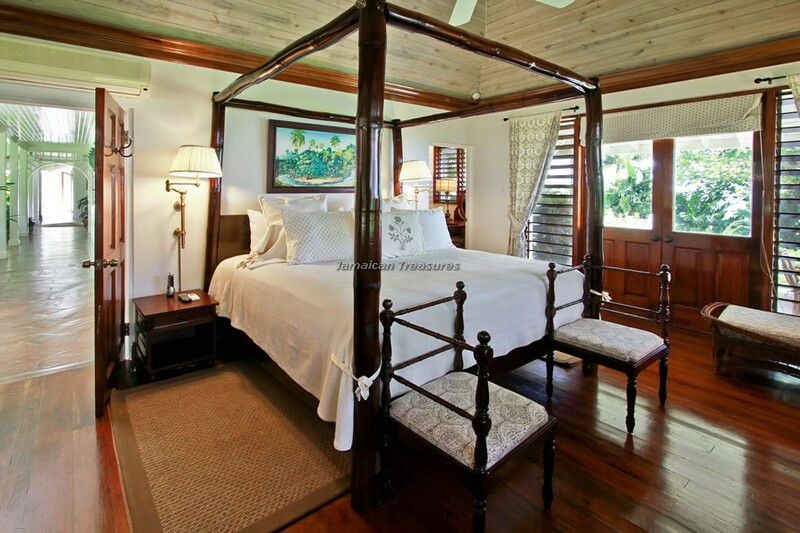 Bedrooms 4 & 5 - these are not rented. 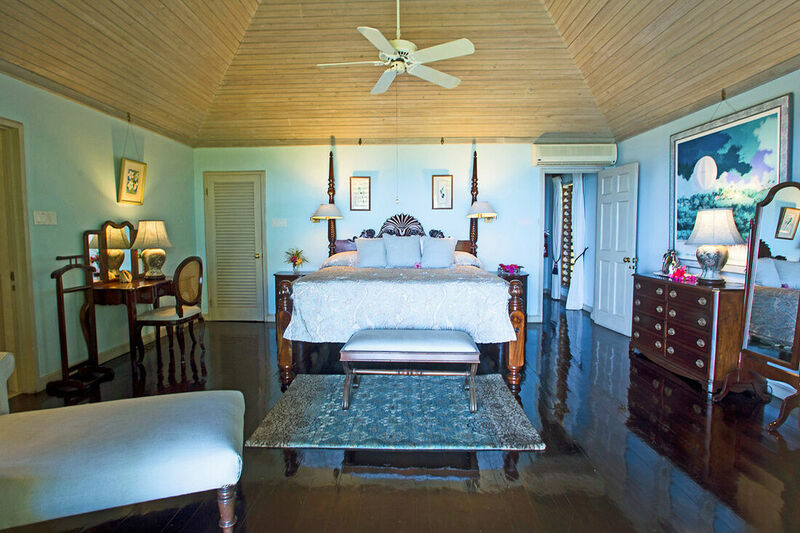 Optional twin or king-size beds; louvered doors to porch; en-suite bathroom with tub-shower combination … the smallest bedrooms and the only bedrooms without cable television. 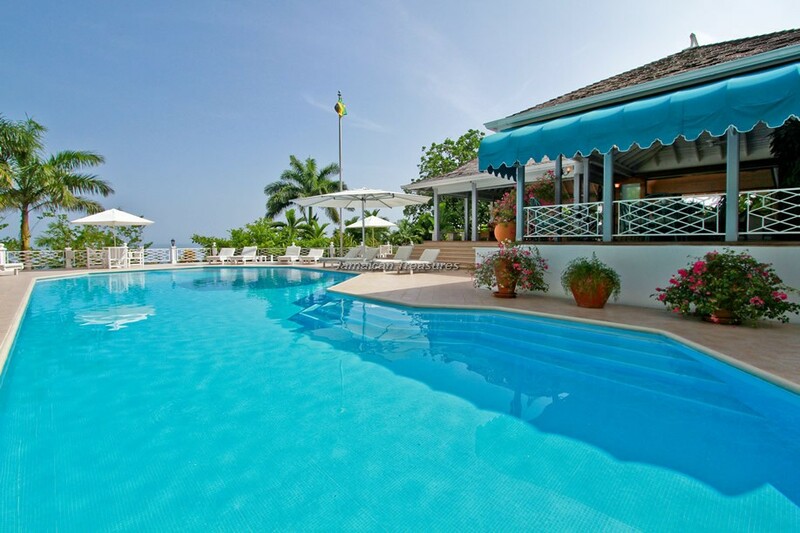 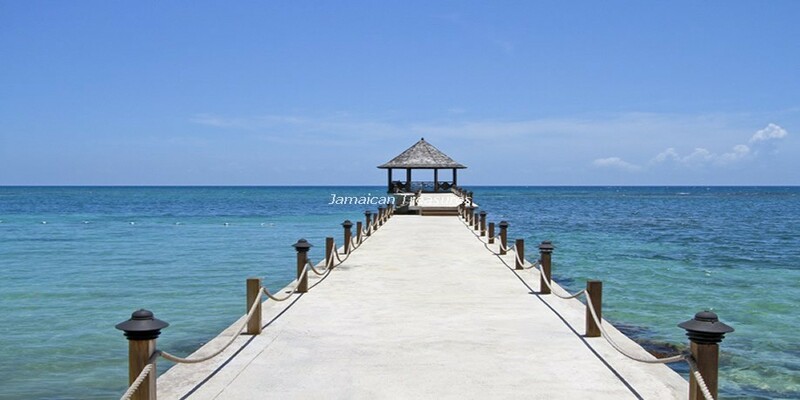 Large rooms with king-size beds, cable television, mahogany plank floors, louvered doors to furnished porches and magnificent views of the sea and romantic night lights of the town of Montego Bay; new bathrooms with double-basin vanities, walk-in showers and separate bathtubs … spacious and glamorous. 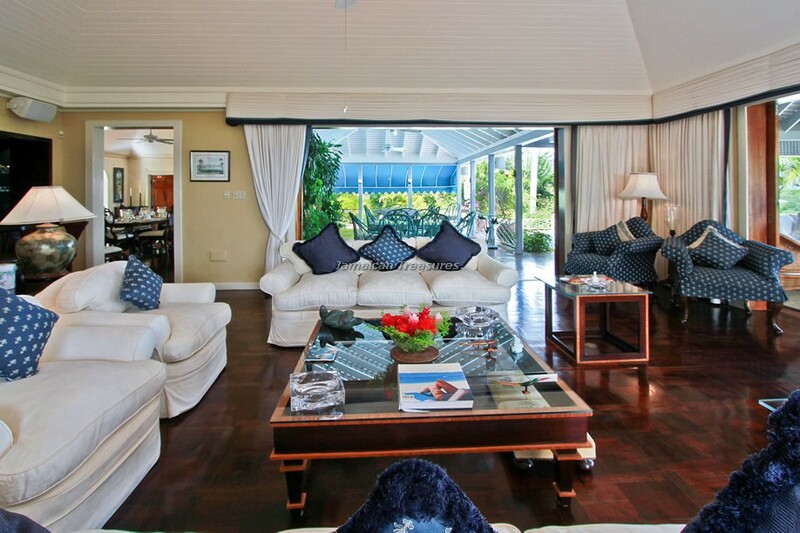 Five bedrooms feature state-of-the-art remote control air conditioning (rarely needed in winter months thanks to lovely cooling trade winds). 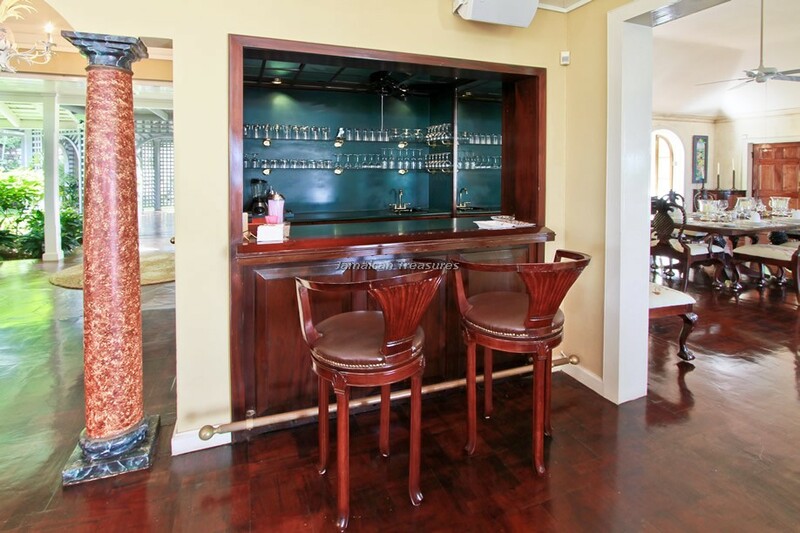 Five bedrooms have cable televisions.